Photoshop is a great tool for editing and creating graphics by Adobe. 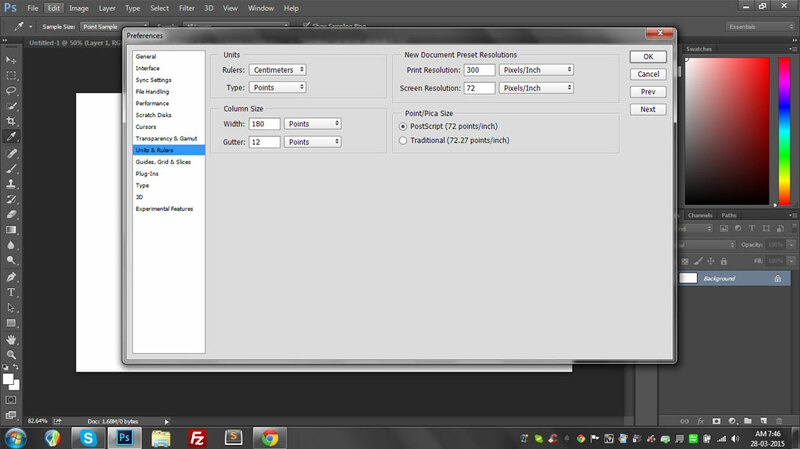 You can set up photoshop in a number of ways. If you plan to use photoshop for designing awesome websites layout. You may want to set up photoshop preference for web designing. It will make your workflow run smoothly providing best results. 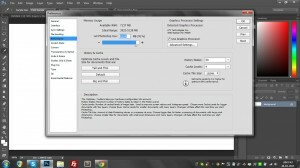 Fire up your photoshop, to access photoshop preferences. Go to edit menu on the top right. You will find preferences at the bottom of the submenu. 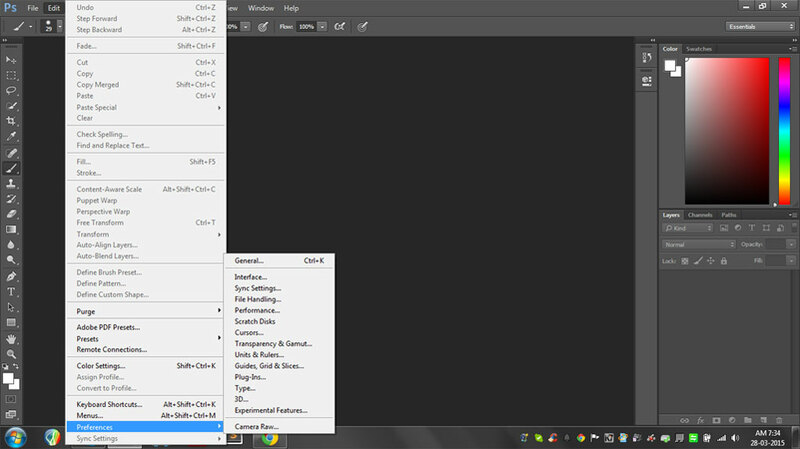 Select preference and go to general from the flyout menu. Alternatively, you can use keyboard shortcut. CTRL+K and to go directly to preferences option. Once you have opened up photoshop preferences. You will see a number of different tabs the left side with multiple configurable setting options on the right. 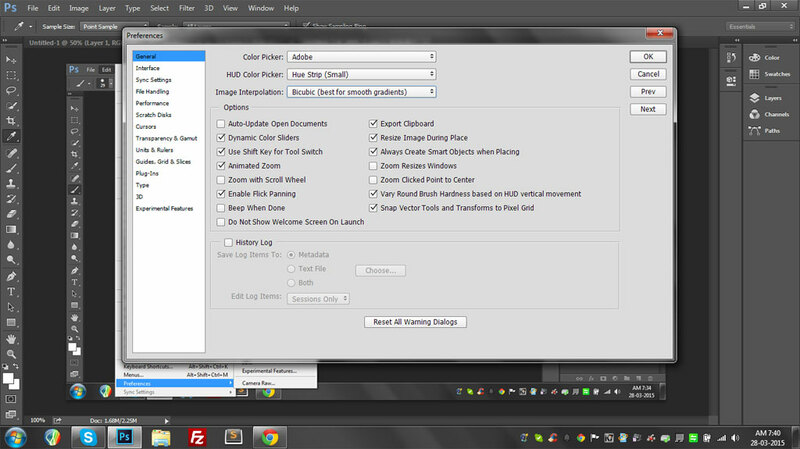 In general tab, set your color picker to Adobe. Image interpolation should be set to Bicubic (best for smooth gradients). 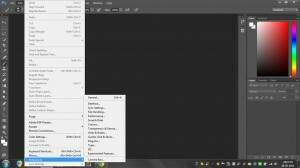 Go to performance tab in your Photoshop preferences. Set up Photoshop to use 90 percent of your ram to boost its performance and uncheck your system’s operating system disk partition from scratch disk. It will prevent the program from frequent crashes. In web design everything is measured in pixels. Select units and rulers tab on the left. In units and rulers, select pixels as unit of measurements from both rulers and type drop down. This is all what you will be needing to create awesome web designs using Photoshop. 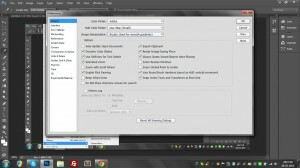 I am using Adobe Photoshop Creative Cloud. Your version of Photoshop might be different from mine but I think all the options and settings would be almost the same. I don’t feel that it will be a hard time setting up these preferences in your Photoshop. With a little effort, you are good to start design your first photoshop mock up.